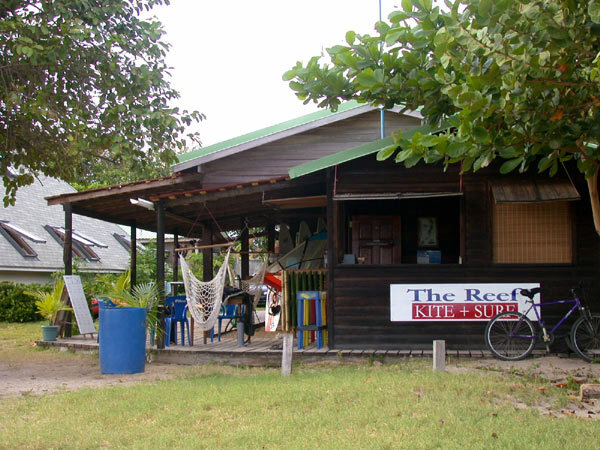 The Reef Kite + Surf center is located on Sandy Beach – St Lucia’s most magnificent windsurfing beach on the south-east coast of the island – near to the town of Vieux Fort. The bay is a windsurfer’s dream: unspoilt, uncrowded and facing the full force of the trade winds, it is highly regarded by professional and leisure surfers alike. This is because we offer unforgettable hours on the water with great windsurfing conditions, good equipment and outstanding service. Our centre can look back on 23 years of irie fun and you’ll find it hard to match our quality, service, safety and innovation and our multi-lingual international staff with their extensive training, experience and local knowledge who also keep abreast of new developments. 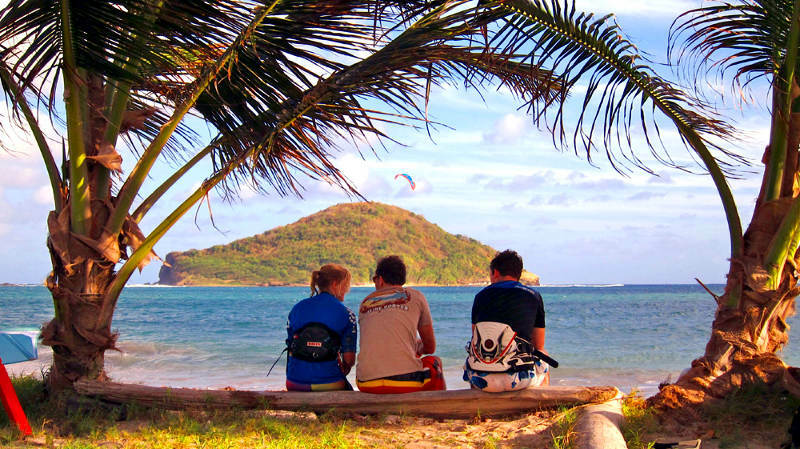 This all adds up to great news for you if you’re looking for an exceptional windsurfing vacation, with something to keep all of the family happy. 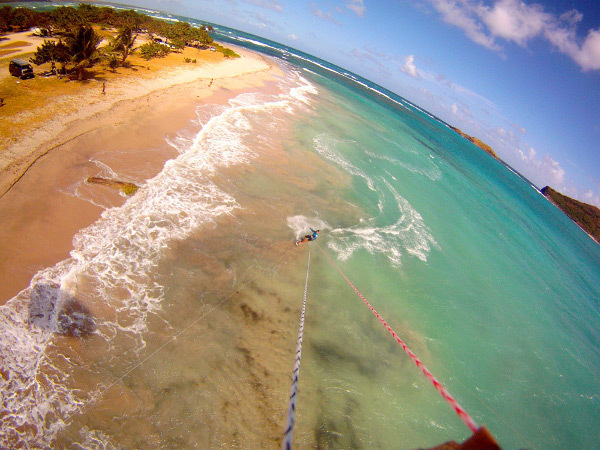 The Windsurfing & Kitesurfing Centre is located on the grounds of The Reef Beach Cafe in Vieux Fort, St. Lucia. Our windsurfing school offers lessons to suit all levels and abilities, so whatever your goals are, the instructors at The Reef can guide you every step of the way. Windsurfing is a sport which can be learned by anyone with average ability and it’s not necessary to have any previous experience. We place a strong emphasis on safety, and all instruction is carried out within a sheltered environment with our safety boat on standby. When taking lessons, we provide all necessary equipment and safety gear, but we recommend that you bring along your swimwear, sun cream and sunglasses. We also offer windsurfing equipment rental and have facilities for independent windsurfers wishing to use their own equipment. One popular option is our WindEazy package which offers a nice bundle of services and goodies which you can read about here. Beach loungers, kayaks and stand-up paddleboards are available for rent and some items of fashion, clothing and equipment are available for sale in our shop.